There are no trees on Svalbard. A layer of frozen soil, called permafrost, does not allow the growth of trees and grass. The only plant life that you can see here are moss, lichen and flowers. The lack of vegetation is typical of this area and is known as of Arctic Tundra. Here, a plant can only grow up to 20 or 30 centimetres. Some areas are completely bare and covered with broken rocks, slippery and sharp stones, hard and compact soil. Other areas are generously covered with moss which grows there thanks to excrement of the birdswhich inhabit that area, therefore the silent desolation of the Arctic cold and bare landscape is sometimes interrupted by a green area which stands out from the grey stones. We frequently saw the moss campion (Silene acaulis), especially when we stayed at the second camp. This kind of vegetation has the shape of a cushion and is covered in green moss and small purple flowers. We also saw the nodding lychnis (Silene wahlbergella) which grows up to 10 centimetres almost everywhere on Svalbard. Moss and lichen are very common. In different areas, especially in Longyearbyen we saw the arctic cottongrass (Eriophorum scheuchzeri). 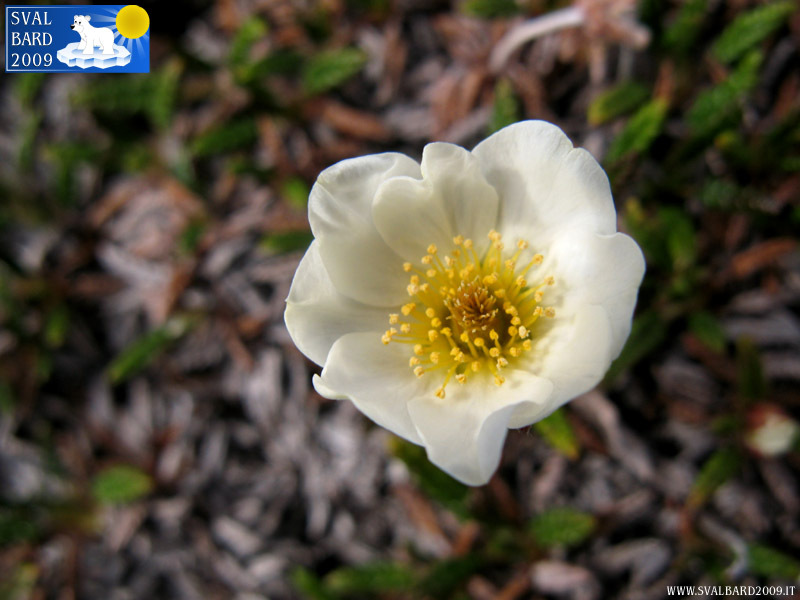 The mountain avens (Dryas otcopetala) is a white flower with eight petals. 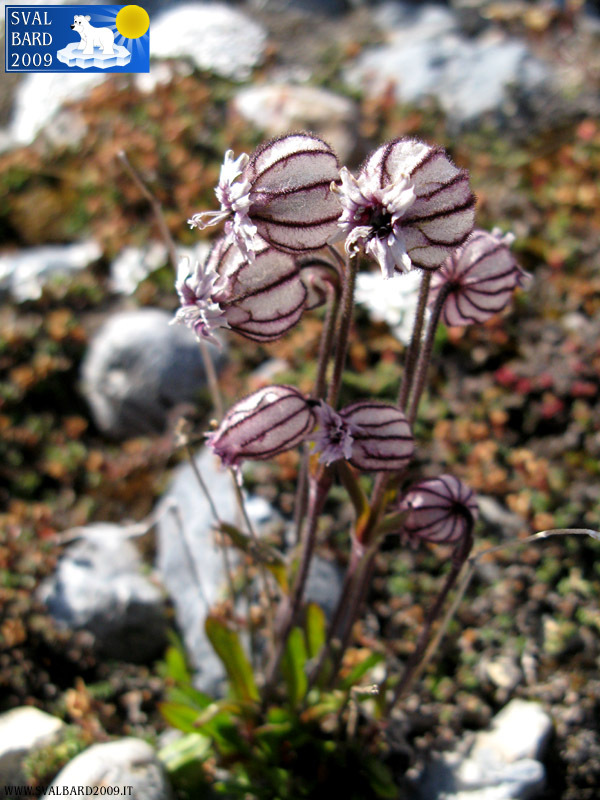 It grows in many areas of Svalbard, on rocky and calcareous land or in the dry tundra. 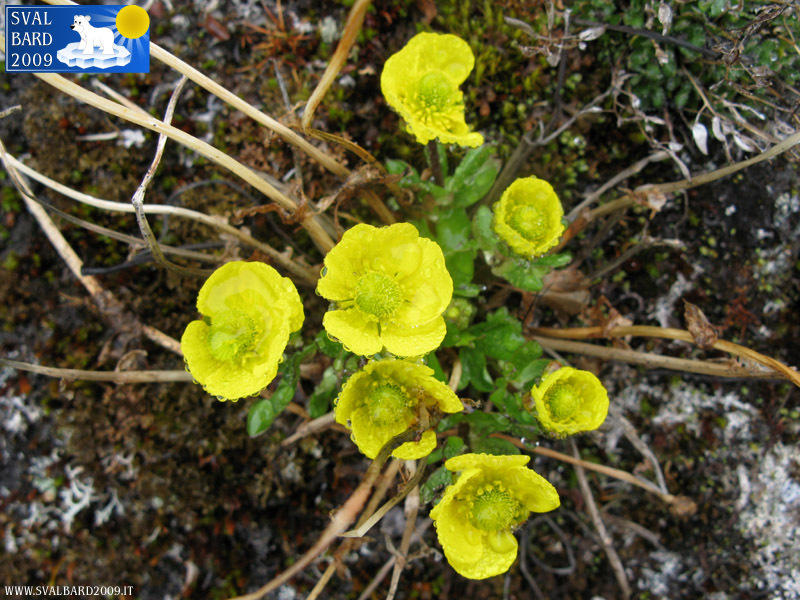 Another flower we saw is the snow butter-cup (Ranunculus nivalis): a yellow flower which groes in the northern part of Svalbard. Do you want to leave a comment to this page? 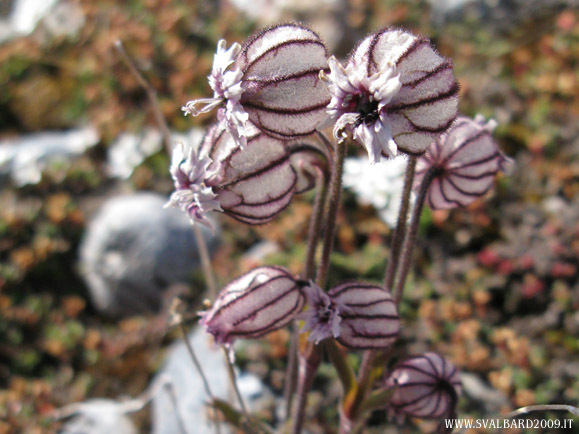 Write your impressions and questions about "The vegetation of Svalbard".